An introduction to the concept of Hubris Syndrome and how it manifests in leaders. “.. I’ve grown increasingly worried about … the way in which decisions are made … by leaders, and the tendency to develop what I’ve called Hubris Syndrome. 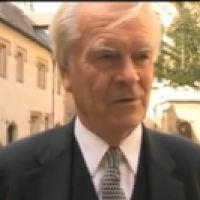 Lord David Owen, former Minister of Health and Foreign Secretary. Author of The Hubris Syndrome and Trustee, the Daedalus Trust. “.. I’ve grown increasingly worried about … the way in which decisions are made … by leaders, and the tendency to develop what I’ve called Hubris Syndrome. “(This is) basically a hubris that develops, in the absence of any psychiatric illness, from people you might call normal. (They’re) elected by the body politic as leading politicians, or chosen to be chief executives of companies.